Have you ever felt like there must be more to the Christian life than you have experienced? Have you every wondered exactly what Paul meant when he said, "It is no longer I who live, but Christ lives in me"? Have you ever contemplated his prayer for the believers in Ephesus to "be filled with all the fullness of God"? You may be surprised to learn that the answer to theses perplexing questions is...well...A Vast Simplicity, and what you read in the pages of this book may well stretch your understanding and your expectations of the Christian Life. 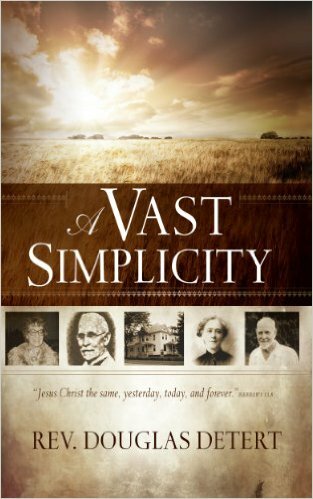 A Vast Simplicity recounts the testimony of men and women who experienced what it means to live in the simple, yet vast, wonder of having "just Jesus". But this book isn't just history. A Vast Simplicity will stir an insatiable hunger for Jesus - just Jesus - in believers today. It will challenge stale religion and impersonally head-knowledge. What you read in theses pages may well stretch your understanding and your expectation of the Christian life. Be assured, "God is making Jesus available to His people now in the same way, and to the same degree That is why this book has been written."